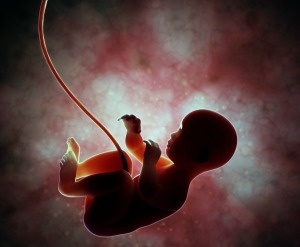 Cord blood banks now exist within nearly every developed country, as well within most developing nations. However, there is still significant variation within the industry. First, there is the divide between private and public cord blood banking, in which private companies serve individual families, while public banks serve the broader population. Additionally, some cord blood banks receive only units from nearby hospitals and birthing centers, while others allow mail-in units from a diverse geographic region. There is also variation in the services offered by private cord blood banks, with cord tissue storage emerging as a commercial service in 2008, when a Taiwanese company, HealthBanks Biotech Company Ltd., began offering the service – making it the first company worldwide to do so. HealthBaby, a Hong Kong based company subsequently launched the service in 2009, and another Hong Kong based company, Cryolife, added the service in 2009 as well. As such, Asia is recognized as the geographic region within which umbilical cord tissue preservation first became a prevalent service. Within the United States, the Cord Blood Registry was the first private company to begin offering cord tissue storage to complement its cord blood banking services, as it added the service in July of 2010. This trend of cord tissue storage has since had a significant impact on the cord blood banking industry, with over half of U.S. companies now offering the service. Worldwide, cord tissue storage has become common as well, although the market penetration rates are not as high as within the United States. Because cord tissue storage first emerged within Asia, then within the United States, and finally within other regions of the world, it identifies why executives of cord blood banks should track global trends in cord blood banking. Medical, technical, and strategic advances within one region of the world can be replicated in other regions, allowing for strategic advantages over one’s local counterparts. An example of this diversified model of stem cell biobanking is the cord blood bank Precious Cells, based in London, United Kingdom. Finally, there is significant variation in the quality, pricing, and guarantees promised by cord blood banks. Having explored the benefits of public cord blood donation, it is important to understand that there are also benefits associated with private cord blood storage. First, privately stored stem cells are genetically unique to a child and his or her family, offering the highest possibility for a successful outcome when transplanted to a biologically-related relative. With private banking, cord blood stem cells belong to a specific family. As such, the cord blood is not available to the general public and cannot be used without the permission of the person from whom they were sourced. Parents who choose to bank their child's cord blood stem cells for family use typically do so because they feel that it offers a form of “medical insurance” that guarantees that autologous stem cells will be available if medically required. Cord blood stem cells are an exact biological match for the child from whom they are sourced. Consequently, they eliminate any risk of rejection in transplant to that individual. Related stem cells are the preferred choice of transplant by many physicians, as they cause fewer recipient problems. Cord blood stem cells offer a reduction in Graft versus host disease (GVHD), a serious and often fatal transplant complication. Cord blood stem cells have a 25% probability of being a perfect match and a 50% probability of providing a suitable match for transplant use with a sibling. Privately banked cord blood stem cells may also provide a suitable match for parents, grandparents, cousins, and other biologically-related family members. Because most medical conditions do not arise until later in life, families with privately stored stem cells are likely to be the first to benefit from emerging stem cell therapies and advances in regenerative medicine. To date, minority populations have been drastically under-represented in transplant registries. For this reason, it is recommended that mixed ethnic parents strongly consider private banking, as they have limited access to donor matches in current registries. Also, 70% of patients who need a bone marrow transplant are unable to find a matching donor, according to the National Marrow Donor Program. Thus, cord blood transplant from an unrelated donor is their next best treatment option. Public cord blood donation is also a means through which scientists have access to cord blood research samples, providing them with tools to investigate new and potentially life-saving therapies. For this reason, donation of a child’s cord blood to a public bank is a way to preserve stem cells for the general good of others. To learn more about market variations within the global cord blood industry, view the free samples from the Complete 2015-16 Global Cord Blood Banking Industry Report.